The imageCLASS MF5950dw combines professional-quality multifunction capabilities with features that help businesses save time and money, making it the perfect device for todays small business owners. 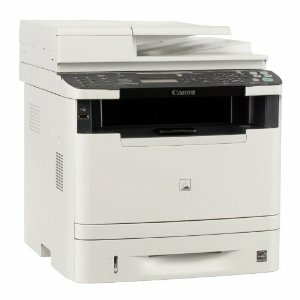 Featuring a 50-sheet Duplex Auto Document Feeder (DADF), 250-sheet cassette plus 50-sheet multipurpose tray, and an optional 500-sheet paper cassette pedestal and handling paper sizes up to legal, the MF5950dw delivers print speeds of up to 35 pages per minute single-sided and 17 pages per minute double-sided in black and white. With Canons Quick First Print Technology, your first print arrives in approximately 6 seconds. The MF5950dw is also outfitted with cost-saving tools such as all-mode auto duplex functionality, energy-saving technologies and Department ID Management, which enables you to set limits on who can use the machine and how much they can print, copy or scan. You will be able to manage the device from your desk through an embedded web server (Remote UI), which will give you the freedom to view and modify network settings or retrieve an activity log. 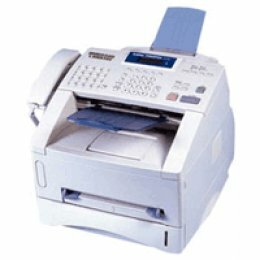 With built-in Fax Forwarding and Send functionality, the MF5950dw allows you to send incoming faxes, internet faxes and scanned documents to an email address, network folder or another fax number. For on-the-go users, the MF5950dw offers a USB port to facilitate scanning files directly to, or print files directly from a USB drive. With built-in wireless you will have the freedom to conveniently send print jobs to your device from any location in your home or small office. The MF5950dw has a Wi-Fi Protected Setup (WPS) option for a one-touch connection to simplify the task of connecting your device to a wireless network. Furthermore, you will reduce wiring clutter and help prevent security breaches with WEP and WPA-PSK. The MF5950dw uses approximately 3 watts of energy during Energy Saving Mode and meets Energy Star guidelines, saving you money on energy costs. And like many imageCLASS products, it is part of the Generation Green program, Canons initiative to reduce environmental burdens in all stages of a products life-cycle.